American manufacturing company 3D Systems showcased a world’s first earlier this month. 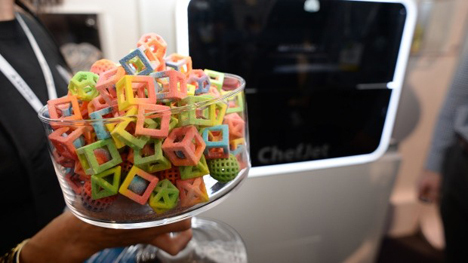 The Consumer Electonics Show in Las Vegas was the lucky venue to display their two 3D printers, the first meant for food. The Chefjet and Chefjet Pro are both certified and ready for kitchen use. 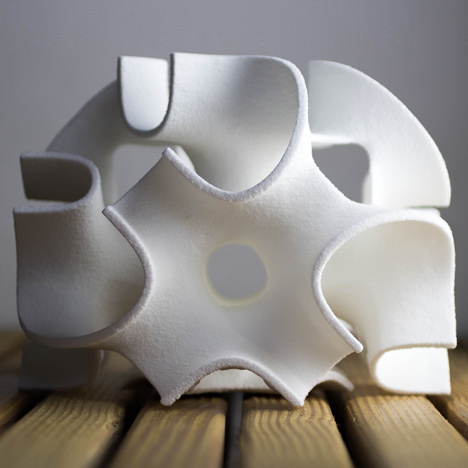 They use regular inkjet print heads, but this time, according to 3D Systems’ Liz von Hasseln, “it spreads a very fine layer of sugar then paints water onto the surface of the sugar, and that water allows the sugar to recrystalise and harden to form these complex geometries.” It can print sugar in three flavors (the odd trio of mint, cherry and sour apple) and can also print in milk chocolate. 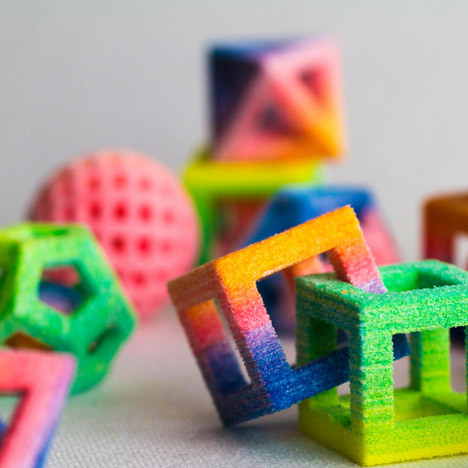 Formerly The Sugar Lab, the launch of the Chefjet and Chefjet pro comes at the heels of 3D Systems’ acquisition of the technology. It was created back in 2011 by von Hasseln, then a recent architecture graduate, and her husband Kyle von Hasseln. The printer will cost around $5,000, so let’s hope it’s not another Salad Shooter.